A pigeon flies over the metro station Blanche in Paris covered by snow. 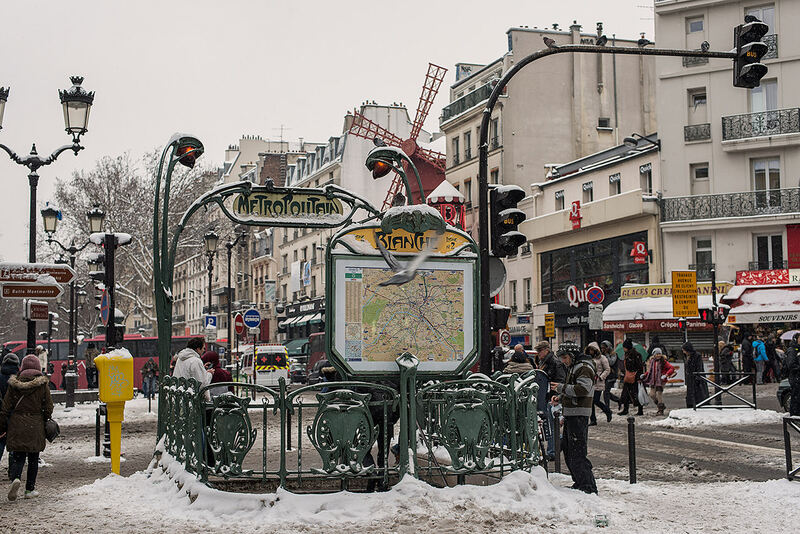 A snowstorm hit the city of Paris on 18, 19 and 20 January 2013. The metro station Blanche is covered with snow. Une tempête de neige s’est abattue sur la ville de Paris les 18, 19 et 20 janvier 2013. 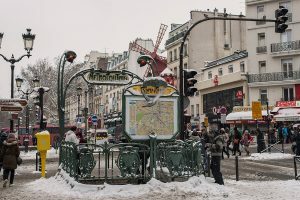 La station de métro Blanche est recouverte de neige.